Peaceful Simple Life: Wardrobe Wednesday- Playful With Colour! This outfit feels playful to me. I like that it is practical (warm and comfy), but that it looks kind of fun! 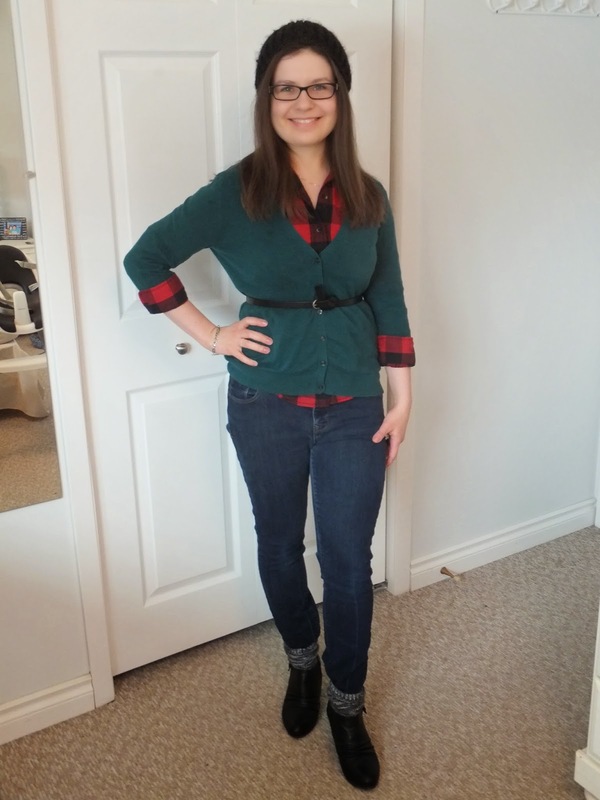 I like colour so it was fun to pair the emerald sweater with the red checked shirt. I belted it, which always adds shape with a defined waist. I mentioned that I was disappointed in some of the pieces that I picked for my Winter Wardrobe and that I felt there was a general lack of colout. This outfit helps me feel bright and cheery. I am disappointed that I haven't worn this shirt more. I plan to fix that by wearing it more this month!